ZTE T98 is a portable little Android tablet that is different from other tablets just because of its Tegra 3 Chipset. By looking at the photos of this slate you will notice its glossy screen that is prone to glare and also gathers fingerprints. It runs on Honeycomb Android 3.2 operating system and designed with a 7-inch screen that boosts a resolution of 1280 x 800. It offers you efficient storage power with the mean of 1GB of RAM and 16GB internal storage. 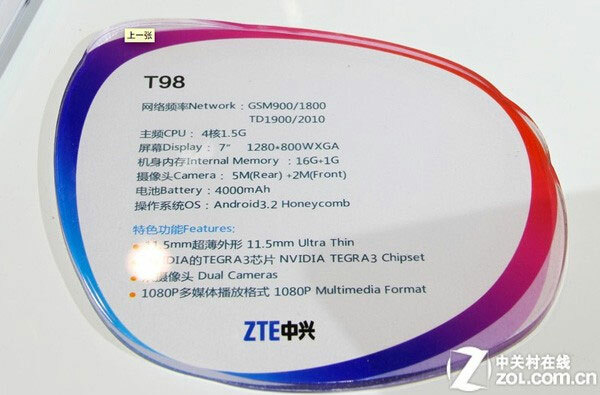 ZTE T98 Honeycomb Tegra 3 Tablet is featured with a 5 MP snapper on the back and a 2MP front facing camera. The snapper of it support 1080p video capabilities. It comes with a 4,000 mAh battery which offers sufficient fuel for talk time and standby time. ZTE T98 Tegra 3 Tablet is only 11.5mm thick and when this thickness is combined with 7 inch screen then this combination makes it feasible for a person to carry it anywhere with him. This slate will provide support to wireless connectivity with GSM900/1800 and China Mobile TD1900/2010 support. 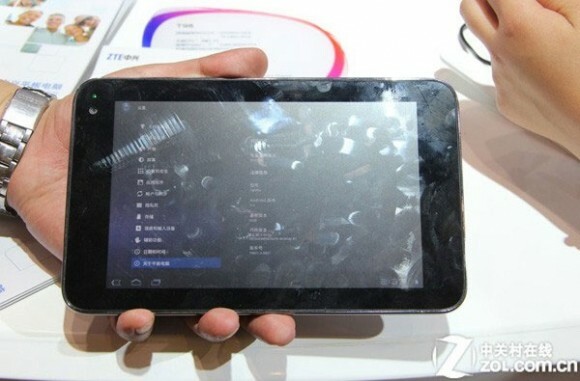 There is no information when this first Tegra 3 tablet will hit the market and at what price. What I know at this point is that this tablet will first arrive in Hong Kong and Taiwan’s markets. Why Should You Have Your Own Counter Strike Server and How to Find One? Copyright © Sizlo Tech. All rights reserved.